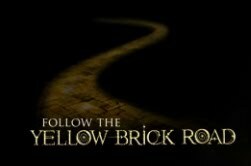 Some new exclusive content over at The Witches of Oz website www.followtheyellowbrickroad.com - there's a short movie that composites film footage and behind the scenes footage to the words of the projects head honcho and brain child, Leigh Scott. Witces of Oz stars Millennium lead, Frank Black himself, Lance Henriksen alongside Christopher Lloyd, Jason Mews, Mia Sara and those wonderful Hobbits, Billy Boyd and Sean Astin. Check it out - looks fun! 1 Response to "New footage from Lance's upcoming film The Witches of Oz"
This looks interesting and could be a lot of fun. It has a great look to it. Congrats to Lance I know he will be stellar in this.